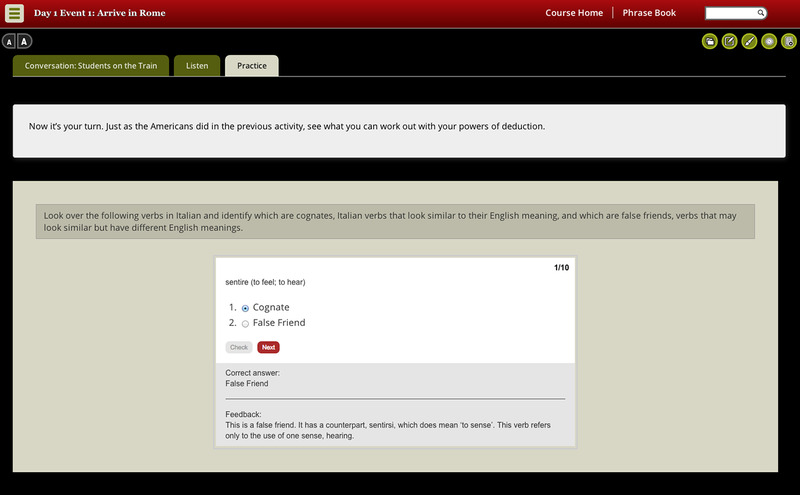 IT 001 is one of a series of media-rich Italian courses (IT 001, IT 002, and IT 003; 4 credits each). 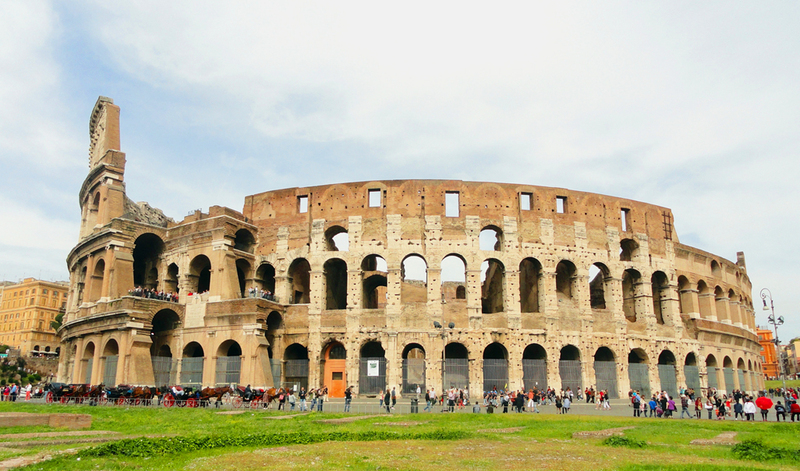 The overall course design was based around a “15-day tour of Italy” concept in which students proceed, day by day, through a guided tour of Italy and learn the language along the way. 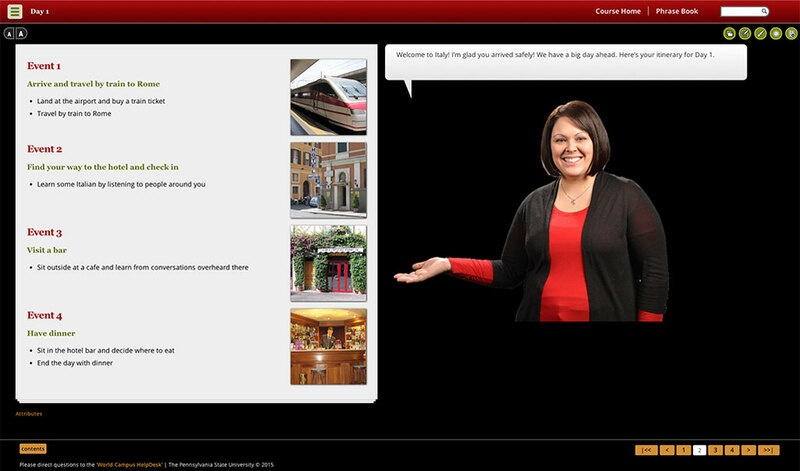 The approach was to develop an interface to convey the idea of a tour; develop a series of interactive multimedia assessments featuring image and audio components to allow students to practice and receive feedback on their language skills; include storytelling elements to provide context and as a means to convey some of the cultural notes of each region of Italy; and incorporate mobile learning tools. Penn State World Campus is committed to making its websites accessible to all users, and welcomes comments or suggestions on access improvements. Please send comments or suggestions on accessibility to accessibility@outreach.psu.edu.